In the next three years, house prices in Brisbane, Perth and Canberra are expected to surge by the most — while the Sydney market slows to a crawl. 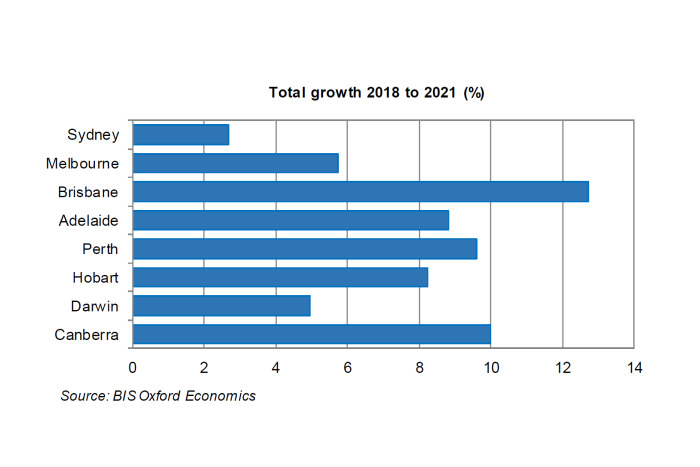 Though in the short-term, property price growth will remain weak, or even decline in some markets, according to industry analyst BIS Oxford Economics in its latest report. It argues this is due to tighter lending criteria, particularly a crackdown on interest-only loans, and record levels of dwelling construction being completed (above 200,000 per year), which may lead to an oversupply in some states. Property buyers should not get too excited, BIS warned, as the chances of a major correction will be mitigated by record low interest rates, and a “relatively stable, albeit subdued, economic environment”. Australia’s largest city has seen its prices soar by 85 per cent since 2013, with investors — which account for over half the values of mortgages in that period — bidding up prices to record highs. In 2013 a Sydney house typically cost about $650,000 while today the average house in Sydney will set buyers back about $1.2 million. Its median house price hit a peak of $1.2 million in June 2017 and has since declined (to $1.1 million) due to the banks’ tighter lending policies, mandated by the Australian Prudential Regulation Authority (APRA). In contrast, Darwin peaked much earlier, with houses reaching their highest median price, $620,800, in June 2014. Since then, it has fallen 19 per cent to $505,000. Its resources boom led to a surge in dwelling construction. But after that boom unwound, so did Darwin’s population growth, which contributed to its housing oversupply. Subsequently, there was a sharp fall in the number of new houses being built in Darwin. “The collapse in new dwelling construction is expected to see excess stock steadily absorbed in this period,” BIS predicted. 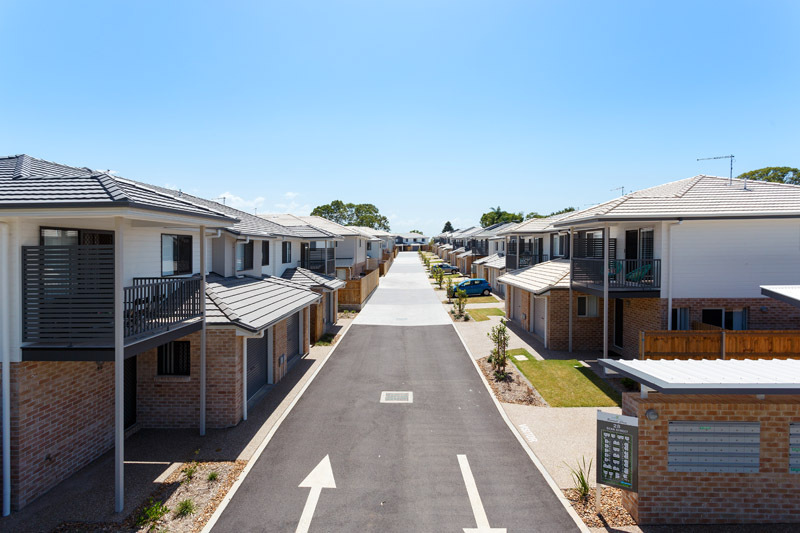 It sees flat price growth for Darwin in the next financial year, before rising 5 per cent to 2021. If its prediction is correct, this would be a phenomenal improvement. Queensland’s capital city is currently seeing house prices grow by a tepid 1 per cent annually. Its apartment oversupply may be a drag on the market, but the sunshine state is starting to see a boost in interstate migrants — particularly from Sydney — with prospective buyers lured by Brisbane’s comparative affordability. Canberra and Perth are tipped to have the second-fastest price growth by 2021, each rising 10 per cent to $770,000 and $570,000 respectively. 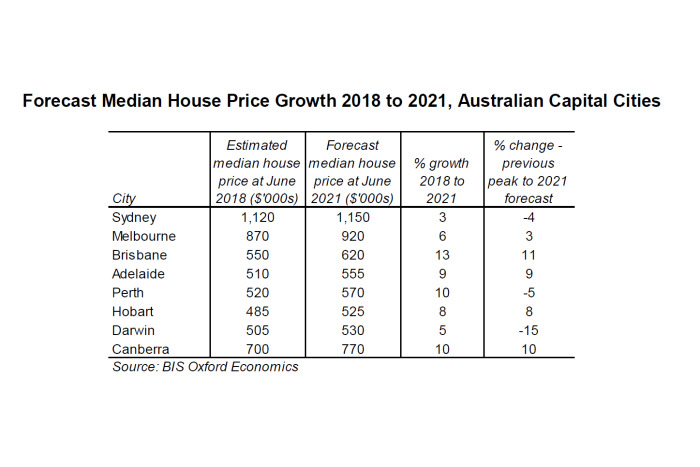 “With the highest household income of Australia’s capital cities, [Canberra’s] affordability remains attractive,” BIS noted. “House prices in the Perth market appear to be bottoming out,” said BIS senior manager Angie Zigomanis. Melbourne, on the other hand, is expected to fare better than Sydney — 6 per cent price growth in three years’ time. 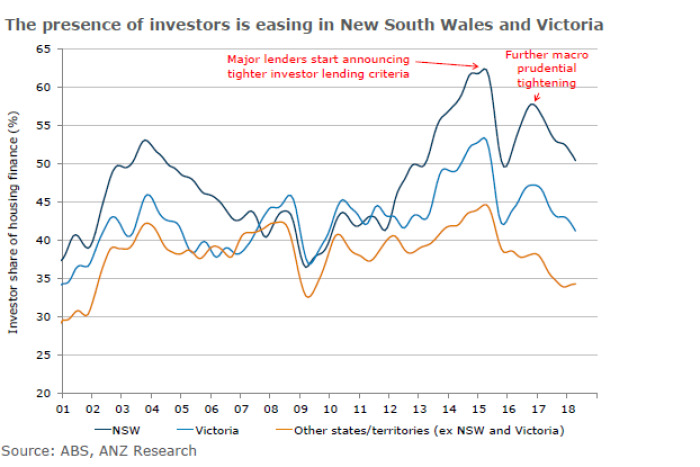 Investors loans drove its prices higher, but nowhere near the extent as Sydney. House prices in the Victorian capital surged 65 per cent in the last five years, reaching a peak of $892,000 in December, last year. “Soaring population growth in Victoria is expected to be a key to house prices in Melbourne as investor demand continues to weaken, by supporting owner occupier demand,” Mr Zigomanis said. “While new dwelling completions are forecast to continue to rise through 2018… supply will be largely met by population growth” — from strong overseas and interstate migration. Strong price growth is also expected in Adelaide (+9pc) and Hobart (+8pc) in the next three years. 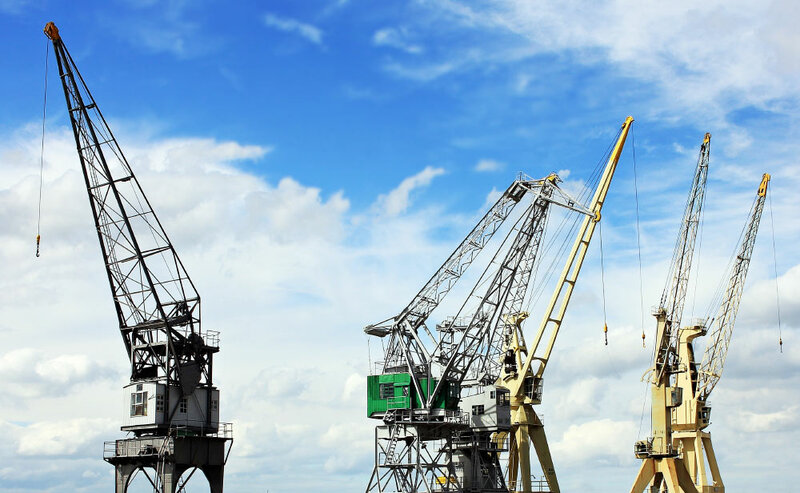 BIS predicts its shipbuilding industry will drive future employment and slowly boost interstate migration into Adelaide, lifting its median house price to $555,000 by 2021. Hobart is currently the strongest property market, given its house prices have jumped 35 per cent in the last three years. The biggest drawcard could be its median price of $485,000, which is the lowest of all capital cities. “The current migration inflows largely comprise younger adults and families with children, suggesting people [are] moving for Hobart’s affordability or expats coming back to raise a family,” Mr Zigomanis said.